This is an original concept drawing from the Walt Disney feature film, The Black Cauldron. The drawings feature early renderings of Fflewddur Fflam that were created and used during the production of the film. 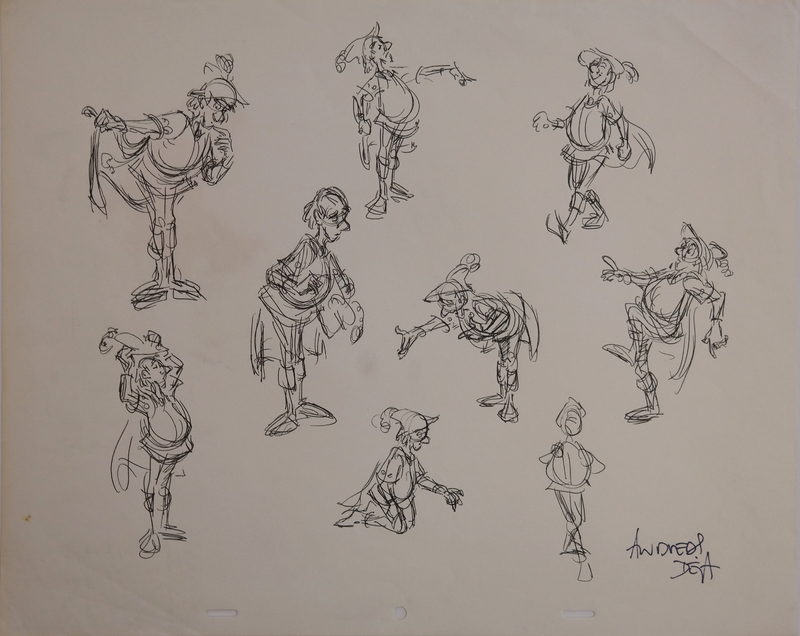 This drawing was created by Disney Legend, Andreas Deja, during the early development of the film in 1981. This drawing is one of the earliest projects worked on by Deja for the studio, and the drawing was hand-signed by the artist. The untrimmed paper measures 12.5" x 15.5" and the image area measures 11" x 12.5".